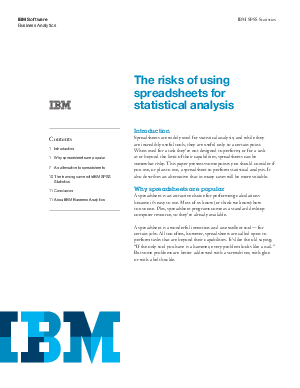 While spreadsheets are widely used for statistical analysis, they are useful only to a certain point. When used for a task they’re not designed to perform, or for a task beyond the limit of their capabilities, using spreadsheets can be risky. Read this paper to learn about more powerful yet easy-to-use analytics alternatives that may be more suitable.